Backmarks for B.D. 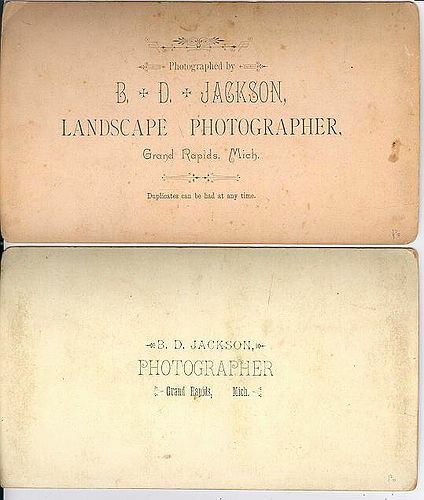 Jackson, Grand Rapids, Mich. He photographed the Cincinnati Flood, February 1884.